I love classic pieces that have been in my wardrobe for a long time no matter how many trends come and go. For me it's this trench coat which I've had for almost 4 years! It's a classic piece so it will always be in style and I always bring it out during the fall and spring. If you been following me for a while then you've probably seen it season after season. I purchased it at Forever21 and it was super affordable. I've seen many pricy trenches out there but if you look you can find one for a good price that will last you a long time. I've worn this one so many different ways and I love the way I paired it for this look. I was going for a simple yet classic look and this white button up did exactly what I wanted. I wore basic denim and my favorite fall boots at the moment. 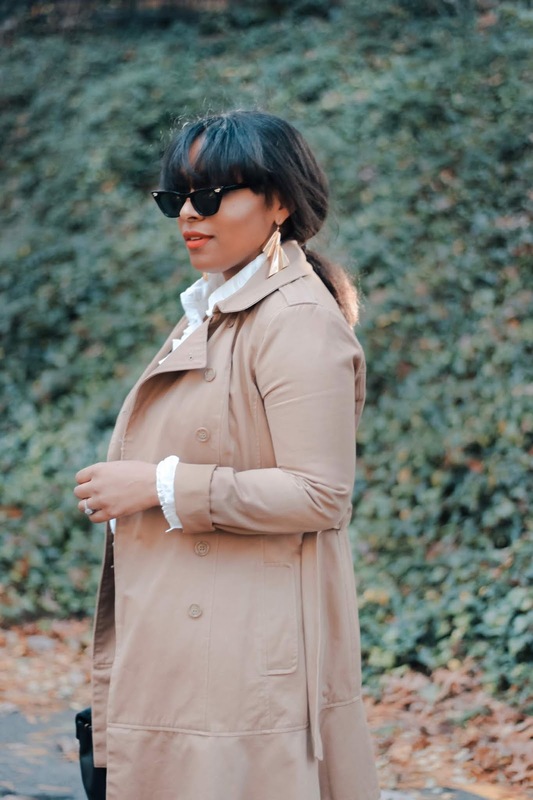 The accessories and the trench brought the look up a notch. Do you guys like trench coats? I know I sure do and I hope to wear this one for many more seasons to come. Below I linked 10 affordable options for you guys!